E-mail is often misused as a communication tool. People tend to send short messages or start discussions. In my opinion e-mail isn’t the correct tool for this type of communication. How often have you received similar e-mails as mentioned below? I received quit a lot of these, to be completely honest…sometimes I am guilty of sending these type of e-mails (inset picture with look of shame here). Time to stop people! What is the alternative for these questions? This is where Microsoft Lync steps in. In my eyes Lync is the chat communication tool for businesses. 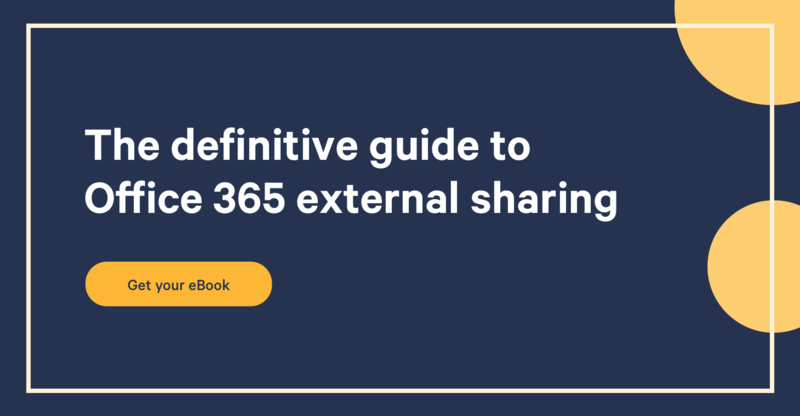 If you are just joining this series, be sure to check out my other posts as I am exploring all the ways we can collaborate with SharePoint on Office 365 from anywhere with any device. Every colleague, including myself, is displayed with a status. I can be available for a chat, to busy, not at my computer or I don’t want to be disturbed. This is very helpful so you don’t “bother” colleagues who aren’t available. The Lync status is integrated with Outlook. You are in a meeting? 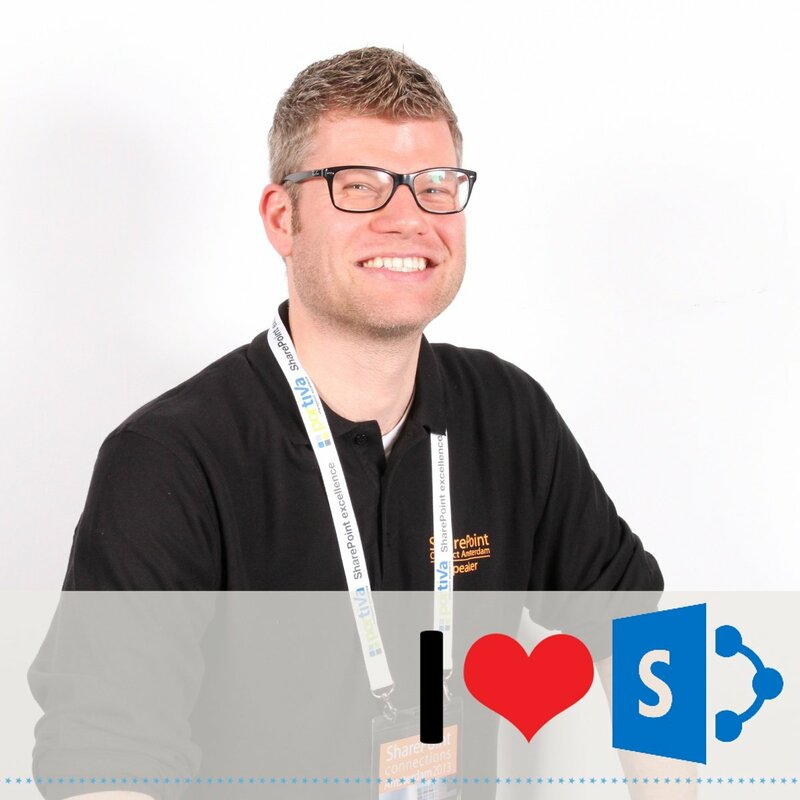 I hope you notice that Lync is integrated with SharePoint? All the people columns display the Lync status. By browsing over the name I can see Frank’s business card. This enables me to immediately ask Frank a question about a topic he created in the discussion list. This is truly one of the biggest advantages of Office 365. All the services are integrated with each other. I just love the usability of Lync, it’s very easy to use and self-explanatory. I can easily start a chat, call, share a video or share my monitor or applications. Lync can even be used for online meetings, I will talk a bit more about that later. Lync as desktop client works! What about tablets and smart phones? This time we will start with the Windows devices. In combination with the type cover keyboard you can really get your work done with the Surface RT Lync App. Next stop is the Windows Phone 8, I have the Nokia Lumia 720. Features like these really improve the usability of an App. Although I wouldn’t necessarily use this feature, not a fan either, I can see the advantage when you want to show items in your surroundings. I just find the App a bit boring and expected a bit more of an iPad app. Where is the originality factor in the App? This is truly powerful and really enables your mobile device as an asset for every business. Just think of Sales Managers or Consultants. They are often on the road and not able to use their laptops but what do they have? Yes, a mobile phone and/or a tablet. Let’s quickly dive into the demos! The third part show the chat between the participants. This makes the App very interactive and user friendly. Lync is one of my favorite business tools for the communication between colleagues and online meetings. I really use Lync every day to collaborate with my colleagues. Your Office 365 global administrator can enable external communication, with specific domains or all domains, to chat with external people. A very useful and powerful feature to communicate with your customers, suppliers or partners. Just imagine using this feature in project scenario’s in combination with SharePoint. 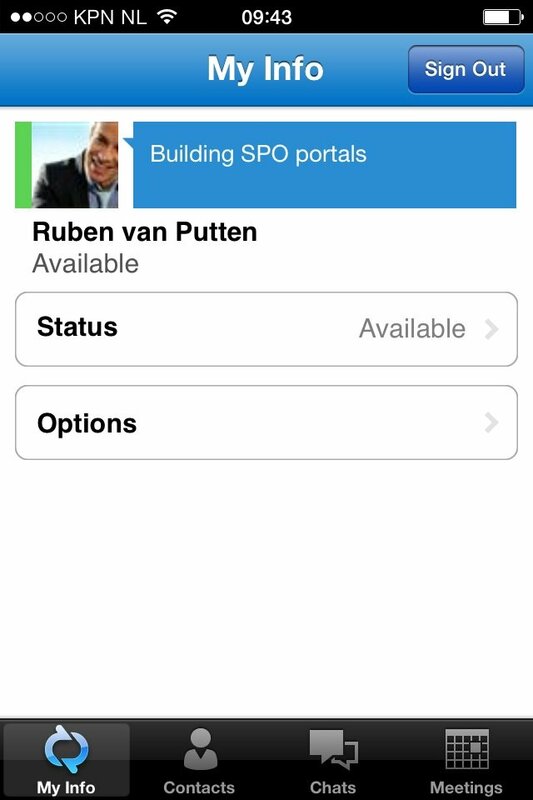 You store the project document in SharePoint and have your project meetings online with Lync. You have a question for the customer’s project member? Launch Lync and chat away.